/ Deadly Infections on the Rise? Recent attention has been paid to a case of an infection and death of a young Arizona boy by the amoeba Naegleria Fowleri. The boy contracted the disease by swimming in Lake Havasu, and died within days of becoming ill. The disease is almost always fatal. Infection occurs when the amoeba invades the nervous system through the nasal cavity, climbing nerve fibers before invading the skull and infecting the brain through the cranium floor. The amoeba then causes cell death and bleeding in the brain’s olfactory bulbs characterized by symptoms starting with problems with taste and smell, and then progressing rapidly to headache, nausea, vomiting, and fever. Personality changes can be seen, with death occurring within two weeks. Unlike bacteria and viruses, amoeba sit in their own class and are extremely difficult to treat. Normally targeting children or people with weak immune systems, Naegleria Fowleri responds only in its early states to broad antibiotic treatment. Experimental serums exist, but have not yet been proven on humans. Only six people have survived the infection, giving the disease only a 3% survival rate, with many of these cases only being diagnosed post-mortem. Its possible that many more cases have been seen, but not recognized. The media has described this disease as a rare brain-eating amoeba, but it doesn’t seem so rare anymore. Between 1995 and 2004 twenty three cases of Naegleria Fowleri infection were found in the United States, average about 2.5 cases per year. However, in 2007, in a nearly three-fold increase, six cases have been reported, all of them fatal. 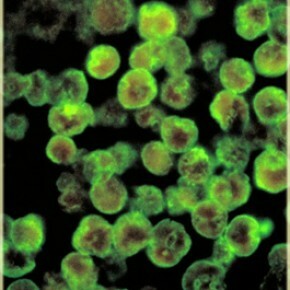 The amoeba breakout is unusually widespread, with the 2007 deaths being reported in Florida, Texas and Arizona, covering the entire length of the southern United States. What is causing the alarming rise in cases? The disease breeds in warm, stagnant water and as global warming continues to march, the CDC believes it will become increasingly widespread and common. Prevention is the key, do not swim in stagnant hot water, and be particularly careful when allowing children and young adults to swim. The best bet, in a hot climate, is to avoid natural swimming areas entirely and go for a cool swimming pool that has been properly chlorinated. Hopefully, new treatments will be more effective against Naegleria Fowleri, but with cases on the rise and the disease seemingly moving from rare to scarce, it pays to be careful where you swim.